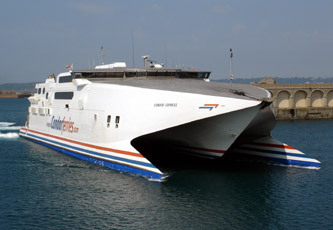 The Jersey Employment and Discrimination Tribunal have made recommendations to ferry company, Condor, as a result of their discriminatory behaviour towards Ms Bisson. The full judgement can be read here. It is no surprise that the first transgender discrimination case in Jersey is about the use of gender-segregated facilities. This is an area that always causes problems for the trans community because being trans is not well-understood by the majority of people: they confuse gender with sexuality and allow irrational, often transphobic, fears to cloud their reasoning. Much has been made in the media about changing signage, but this is, actually, not the most important point to be taken from the judgement.The most important point is that Condor got it wrong from the outset by offering a trans person the disabled facilities and by not acknowledging Ms Bisson’s gender correctly. So, before everyone rushes out to buy new signs for the toilet doors, let’s look at what businesses need to learn from this ruling. Businesses need to ensure that their policies for dealing with transgender customers and employees are up to date and comply with discrimination law. They need to communicate these policies to their employees and provide their staff with training on discrimination legislation that may need to include a discussion of trans issues where understanding is lacking. Transgender people should be treated as their recognised gender for all purposes. This includes using the correct form of address, titles and pronouns. If you are not sure of a person’s gender, use a gender-neutral pronoun like they/their/them until you can ascertain their gender or find a moment to ask discreetly what title they prefer to use. It is never appropriate to offer a transgender person the disabled facilities to use. A transgender person is not disabled and, therefore, would not want to inconvenience users who are disabled and need the extra assistance offered by these facilities. Businesses should permit transgender people to use the facility that is inline with their recognised gender. Under the law, a trans woman’s comparator is a woman and a trans man’s comparator is a man. In seeking a decision as to whether a trans person has been discriminated against, a court or tribunal will ask: was the trans man/woman treated the same as a man/woman? So, bearing this last point in mind, do we need to replace the signs “ladies and gents” on toilet doors with stick figures? No. You are not going to be taken to the tribunal for discrimination if your toilet signs still use words. However, you could be taken to tribunal if you or your employees do not treat a trans woman the same as you treat a woman. Most transgender people do not want special treatment, they want equal treatment that affords them the same rights and privileges as non-trans people of the same gender as their recognised gender. When someone is in the early stages of transitioning using a public toilet is one of the areas that worries them most. Trans women find this more difficult than trans men because of the prejudice that exists in society. Education is the key to breaking down this prejudice. Understanding what it means to be transgender and, crucially, what it doesn’t mean will help the trans community to lead safer and fulfilled lives but also help businesses stay out of the tribunal. This is why, ever since the discrimination law was introduced on 1 September 2015, Trans* Jersey have been offering a free one hour training session to all and any businesses about trans awareness. Trans* Jersey hopes that Condor is the last business that finds themselves in the tribunal for a case involving the use of toilets or changing rooms by transgender people. If your organisation is not sure how to deal with a trans issue, please contact us or Liberate and we will be happy to advise you.